Because of the size and global reach of its audience, eBay is a great marketplace for selling. It is not, however, without its risks, chief among them that the laws of supply and demand can get you into trouble if your items sell for less than you expect them to. There are, however, ways of selling at a final price that you as the seller determine. The most popular fixed price selling technique on eBay involves setting a Buy It Now price when you sell an item. An option that you can check on the details page of the listing form, Buy It Now allows any potential customer to end your auction early and win the item by agreeing to purchase at a price that you set. Adding a Buy It Now option to an auction listing is a way for sellers to try to tempt the marketplace into buying early at the set price, and if you choose your Buy It Now prices well, you can often do just this—sell an item well before the listing might otherwise have ended while earning almost as much as you might have anyway. Bids will erase the Buy It Now option. Unless you have set a reserve price for your listing, the moment a standard bid is placed, the Buy It Now option becomes unavailable to later bidders. A higher starting bids can preserve Buy It Now longer. If you plan to pair a standard auction with the Buy It Now option, you might consider using a higher starting bid, to force every buyer to consider simply buying using Buy It Now rather than bidding at the minimum. Keep in mind, however, that this may reduce your total number of bids if the item does not end up selling via Buy It Now. If you're determined to sell without having to accept bids, fear not—it's easy to do. Read on to find out how. The Fixed Price selling form is similar in many ways to the standard auction listing form, but doesn't ask for a minimum bid amount. In keeping with this omission, buyers who view your listing will not see a place to bid, but instead will see only the option to Buy It Now at the price that you've set. Fixed price listings function in every other way just like normal listings to the buyer, and will turn up in the same categories and search results. Seller fees also behave like normal listings, according to the standard eBay fees table. To sell at a fixed price, simply select the "Fixed Price" option in answer to the "How would you like to sell your item?" when you create your item listing. In addition to standard listing formats, store owners can also use the inventory item listing format, a fixed price listing format whose fee structure and listing duration can be very attractive to high-volume or large-inventory sellers. Inventory item listing costs are only a few cents each, regardless of the price of the item, and inventory items can be listed for for as little as a month or as long as forever (until the item sells). 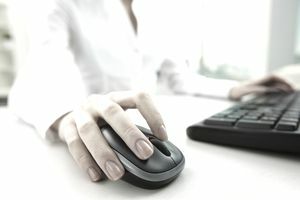 Beyond the additional listing format, eBay stores also give sellers a platform through which items of multiple types can be listed and their entire inventory presented in one area that remains under the seller's control and to which repeat buyers can return any time they like to find additional similar items. There is one caveat to inventory items in stores, however, and that is that inventory items do not appear in the standard eBay search results, but instead appear at the bottom of many eBay search results pages under the "Stores" header or at the other end of a link labeled "See additional Buy It Now items from eBay Store sellers."